Unfortunately, in many areas, water quality is in decline. What’s more, many older houses have water pipes that contain lead and minerals that can contaminate the drinking water supply. As awareness continues to grow, water filtration systems, water purifiers, water filters and water treatment products are quickly becoming household standards. We want to ensure you have a proper water treatment system in place that addresses your clean water concerns. Our water treatment products such as water filtration systems for homes and water purification systems can easily remove unwanted sediment and particles, providing you with a healthier, better tasting water supply. 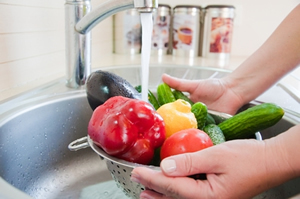 Our water treatment experts will help you choose a water treatment plan that’s right for your home and family. For water filtration and purification systems, water filters, and water treatment solutions for cleaner water contact the plumber you can rely on to get the job done right the first time.